The New AirSplat on Demand video is live! Please feel free to share! To celebrate the launch of airsoftsamurai.com, we’ve teamed up with our boys at 020mag.com to bring you this crazy sweepstake. A free M870 Breacher is up for grabs! All you have to do is sign up and wait for the contest to end. It’s a pretty straightforward process, really. Everyone will win as we’re giving away discount coupons just for entering the fray. The lucky winner will be announced on November the 30th with a dedicated article on 020mag. Interested? Sign-up here in a few seconds using your FB account and claim your Breacher! 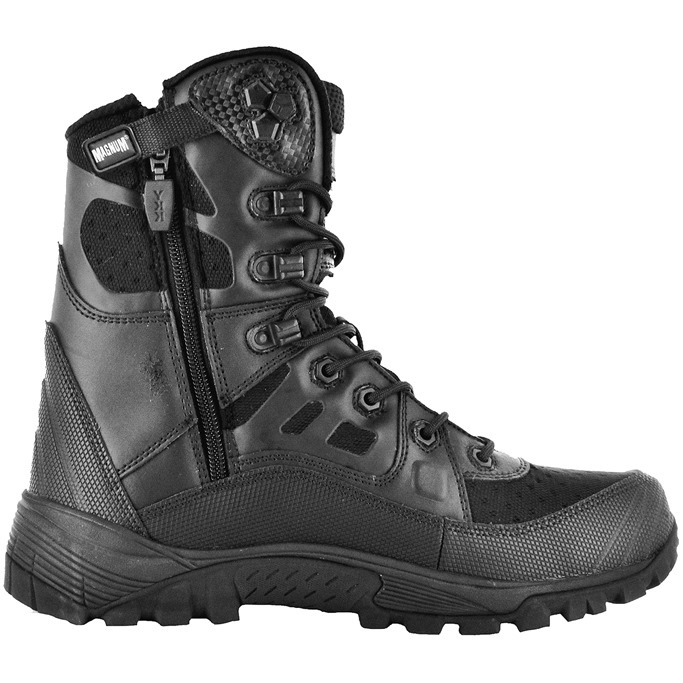 Magnum Lightspeed 8.0 Side Zip Boots now at Military 1st! Made of robust Action Leather and Nylon, new Magnum Lightspeed 8.0 Side Zip Boots feature OrthoLite footbed with anti-bacterial memory foam, moisture-wicking inner lining, slip and oil resistant Vibram outsole for maximum grip, and compression molded EVA midsole for added impact absorption. 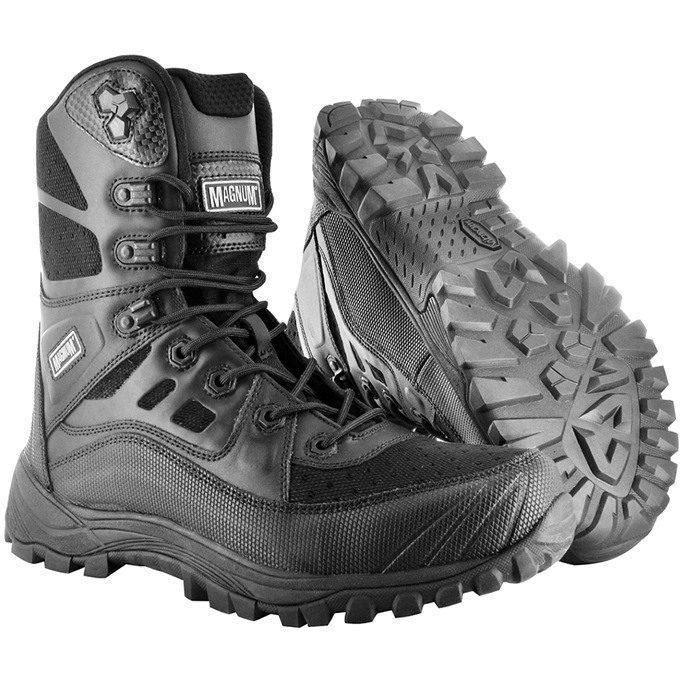 Built like a running shoe for athletic performance and comfort, with a non-metal, anti-glare hardware speed lacing system, composite shank, and YKK circular side zipper, Magnum Lightspeed 8.0 Side Zip Boots offer ultimate agility and strength. Available now at Military 1st online store. Licensed by Strike Industries, Madbull proudly present the Crux Handguard Keymod/Mlok rail. It is a ultra-light weight Keymod/Mlok rail for the MR556 and HK416.Weighing in at a fraction of the original rail. The CRUX handguard features Keymod/Mlok sessions at the 3, 6, and 9 o’clock positions. If you’re the person that lives by the saying ounces equals pounds and pounds equal pain this is the rail for you. – Length: 9" 13.5" 15"
The SR–3 is LCT Airsoft’s latest addition to their Russian line of replica guns and is the little brother of the recently released SR–3M. This is not going to be a review as usual since we already reviewed the SR–3M and the core features of both AEGs are the same. The SR–3 mainly differs in a few optical and mechanical ways from the SR–3. Straight from Japan, the Marushin made FN 57 co2 pistol is a beast. This isn’t some crappy gun for airsoft; it’s a monster handgun. The desert tan color is new and sure to be a hit. ZAN Masks – new styles! 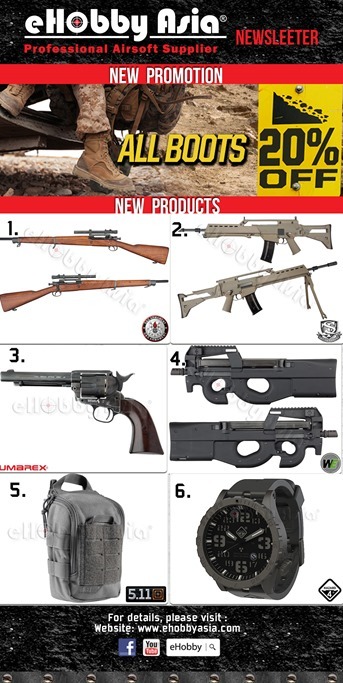 We’re now stocking the entire product line from Wolverine Airsoft. Check out the new Inferno systems, in stock, and shipping. We also have various air nozzles, HPA tanks, and accessories to equip your custom gun with. Our Price: $295 – 345 ea. Krytac is now making their popular AEG models in Dark Earth (tan). Same price as the black version, same specs, etc. So if you want a tan AEG, with Krytac reliability, check these out. Have you heard the news? Military 1st offers free UK delivery, 30-day return policy & now also absolutely FREE UK RETURNS! Yet another good reason to shop with us. 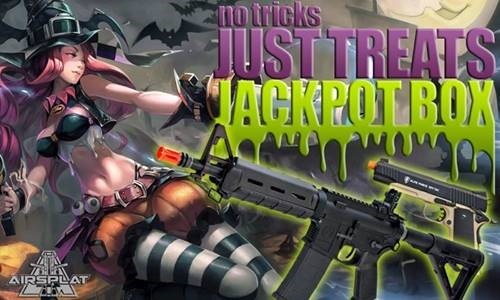 Your chance to receive up to $500+ worth of airsoft prizes with an AirSplat No Tricks Just Treats Jackpot Box! 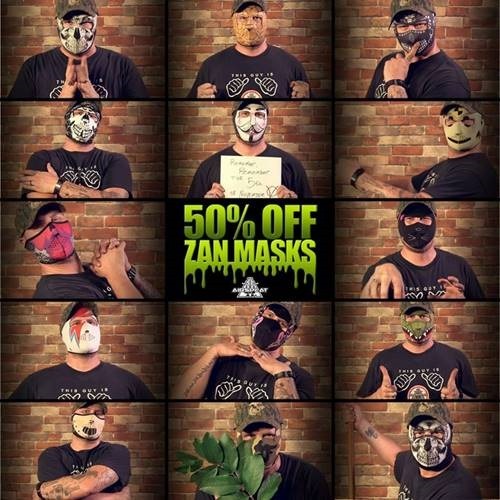 **50% OFF ZAN Masks! ** No costume is complete without the perfect mask! With so many options to choose from we have a mask for everyone! 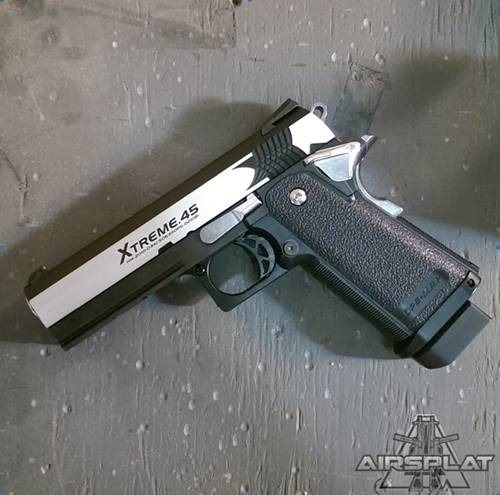 Presenting the Tokyo Marui Hi-CAPA Xtreme GBB Pistol! 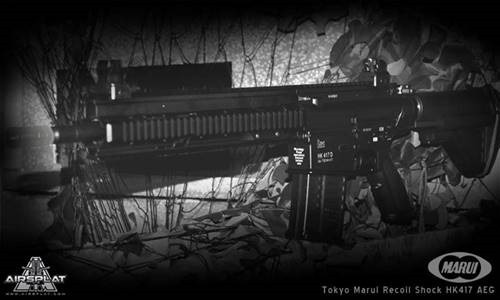 Check out this new beauty we just got in along with tons more Tokyo Marui products! 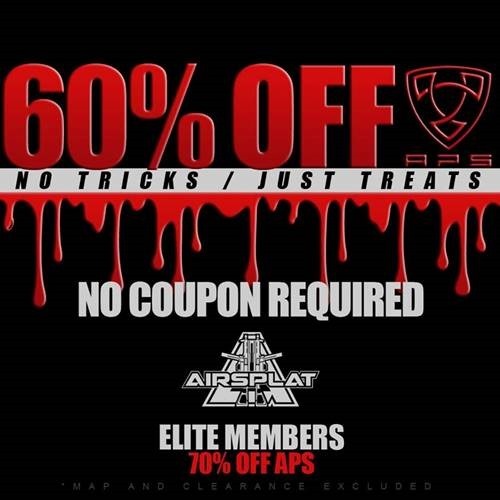 **60% OFF APS at AirSplat! ** No coupon code required! Save NOW!